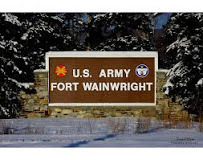 Fort Wainwright is a United States Army post adjacent to Fairbanks in the U.S. state of Alaska. It is part of the Fairbanks, Alaska Metropolitan Statistical Area. Looking for moving boxes, free preferably. Please let me know if you have some or where I can get some. Good Condition Jeep Liberty. Minor scratches runs and drives great. No problems what so ever. 1986 Subaru xt. Body is rough but runs and drives excellent. 4x4 works use it as a daily right now. Asking 1000 obo. Gently used (1 season) tires. Sold the car while it had winter tires on it, still have these left. Great condition. From 2017 Kia Sportage. Will deliver to Fairbanks/North Pole area for additional $25. Set of Toyota Corolla All Weather Mats. Came out of a 2014 Corolla. Clean very easily with soap and water. Driver and Passenger front and rear, also comes with trunk mat. Asking $100 OBO. Stromberg Carlson TR-2 Universal Tire Carrier Fold Down for 4 inch square bumper. Has a slight dent in the bolt plate. Would not work with our tire because of the rim design.